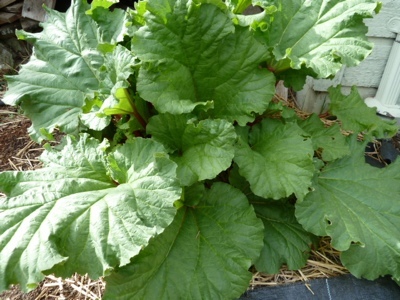 My Home and Garden: I didn't expect to see rhubarb this big until summer. I didn't expect to see rhubarb this big until summer. My rhubarb has gone crazy. 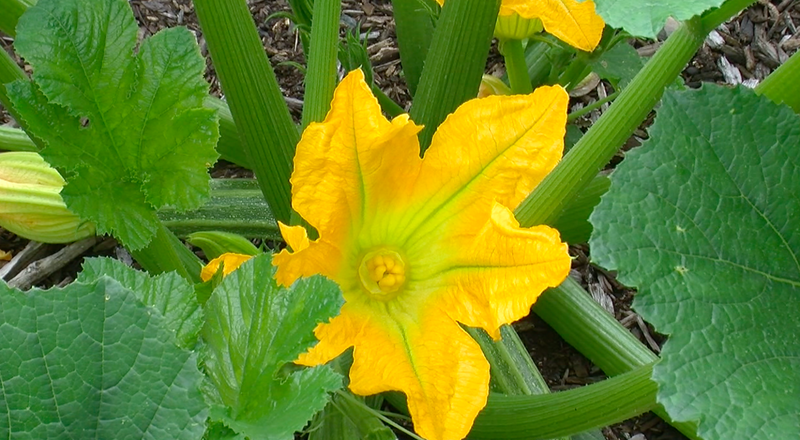 This is my third garden season. Year one, I planted a rhubarb that limped along for the first season and then never reappeared in the spring of year two. Year two I bought a nice healthy large rhubarb plant. It did REALLY well compared to the previous year. I fed it now and again. In the winter I put straw on the rhubarb and loaded on the alpaca manure. The rhubarb is now about three feet across. The stalks are growing so fast that I should be able to start taking stalks in a week or two. Wow. I highly recommend it Mark. This plant went from about 10-12 inches with tightly rolled leaves to three feet across in three weeks!! I thought last year was good. It is about twice as big as it was all last year. Probably 5 times as many leaves.